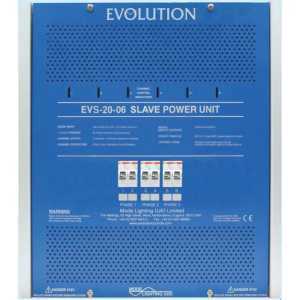 Evolution Slave Units - Akwil Ltd.
Evolution Slave Units There are 3 products. - SIX CHANNELS of 20 amps resistive or 18 amps inductive loads, user selectable for dimming or switching. 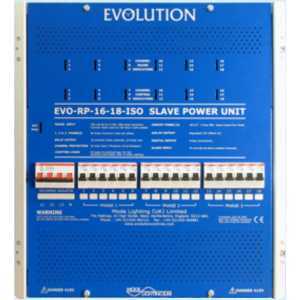 - SLAVE UNIT for use with Evolution Power and Processor Units. - CIRCUIT PROTECTION individual 20 Amp Type C MCB for each channel. - EIGHTEEN CHANNELS of 16 Amps resistive or inductive loads, switching. - FULLY CONFIGURABLE switching ripple. Do you have a question about one or more of our Evolution Slave Units products? Click below to contact us.